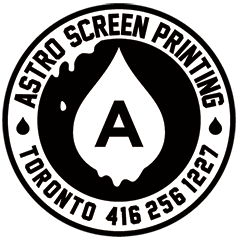 Astro offers several different ‘finishing touches’ that you can add to your garment to really customize your order, and personalized labels are one way to do this! Need more information? Look no further, we have everything you need to know about printed labels below. What Are Personalized Printed Labels? 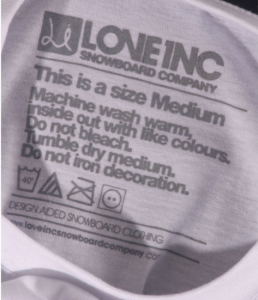 1)Printing your own labels on the inside of your garments is an awesome way to further customize your order while creating an even more retail-ready product. Not only that, but labels really help create and re-enforce your brand identity. 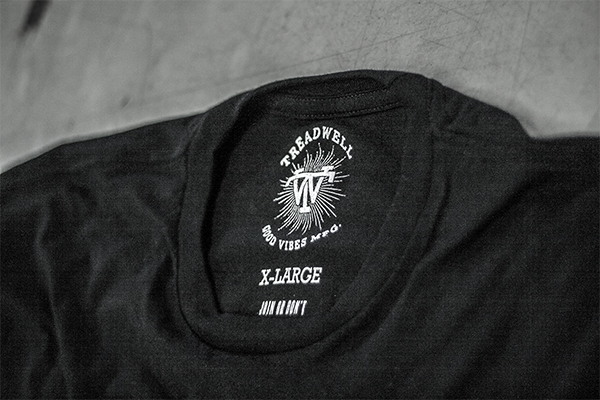 Instead of a customer seeing a Gildan or American Apparel label on your garment when they pick it up, your label is printed on the inside, making it easier for clients to see, recognize, and remember. It can also help your product look more professional and, let’s face it, legit to potential clients, even if you’re just starting out. 2) Personalized woven labels need to be ordered in large numbers to keep costs low, and then there is the additional cost of having them sewn into the garment, causing costs to add up really quickly. With printed labels, you’re only paying for the labels as you need them, instead of having to buy a thousand or so upfront, keeping your costs down! 3)No scratchy tags in the back of your neck! Let’s be honest, we’ve all been the victim of tags that are a little irritating or just won’t stop sticking up the back of your t-shirt. 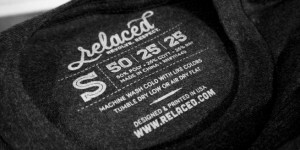 Printed labels are essentially no-feel, offering your customer a much more comfortable, tag-free shirt. What Information Should I Include On My Labels? This is a really great question! To start off, your brand name or logo should aways appear on your label along with the size of the garment, fabric content, and country of origin; these are all things your customers (and customs, if you ship your items to different countries) will need to know. It’s always advisable to include washing instructions as well, so your customers is informed on how best to care for your garment. Another fun thing to include is your company website or instagram/twitter handles, which is a great idea if you’re hoping to have your customers share pictures of themselves wearing your product! How Many Colours Am I Limited To? Keep it simple, labels are small! One colour please! I Want My Labels Printed In Bright Red, Can You Do That? Yes, we can. Do we advise it? Not really. 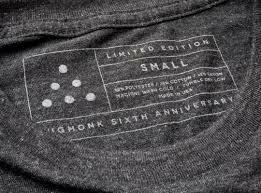 In the past, we have found that when using colours that are too bright/ dark when printing garment labels, they can bleed through the back of the shirt, and it doesn’t look great.We normally print in a medium grey colour; it shows up on light and dark shirts without bleeding through. Alright! So now you know all about printed labels. Click here get a quote or to inquire for more information!